GT7 Motorsports, along with team driver Dylan Tavella, struggled to make the most from a brilliant day of Friday qualifying. 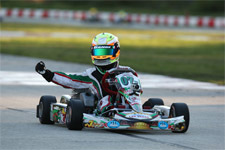 Mechanical gremlins and on-track contact spoiled what was shaping up to be a stellar weekend of Rotax Micro Max racing. Running at the front in the 38-kart field in the early stages of the event, Tavella looked to be the driver to beat as the weekend kicked off with official practice and qualifying on the Friday. Working with tuner Bob Radivoy and driver coach Garett Grist, the nine-year-old racer ran strong all weekend as he learned the track and worked on the Tony Kart cadet package. "This is one of the those weekends you know you are going to have in racing. Dylan was so fast on Friday and we looked good for a couple podium finishes. 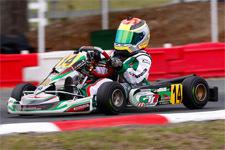 The Micro Max field is so tough that you need to be perfect," commented Phil Tavella, GT7 Team Principal. "We had an ignition failure on Saturday in the final then got run over in the prefinal on Sunday. 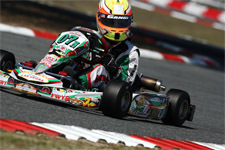 Dylan is driving great and the Tony Kart is fantastic. With some luck we will be back at the front in Ocala." Friday kicked off the weekend and would host the final two rounds of practice along with setting the grids for both days of racing action. Tavella was able to set fast time in the first practice session and followed that with third quick in the second practice session. This put Tavella in the fast qualifying group. Up first was qualifying for Sunday and Tavella went second quick missing pole by just 3/100 of a second on the final lap. Up next to close out the calendar of official Friday sessions was qualifying for Saturday's racing action. Tavella would not miss the pole this time grabbing the top spot by more than 3/10 of a second over the field. Starting from pole in the Saturday prefinal Tavella ran well, taking second place at the line and keeping a front row starting spot for the final. A solid finish in the final was not to be as a mechanical issue took Tavella out of the race on lap four, classified in 35th place. The GT7 team went to work overnight and found the coil had failed. Sunday was a new day and a new opportunity for a podium finish. Starting the prefinal from outside row one, Tavella got shuffled out on the start and slotted into the fifth spot. A kart then flipped over Tavella sending him back to 24th at the end of lap one. 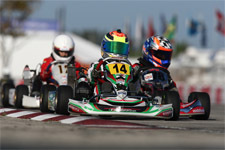 Dylan battled back with a damaged kart to make his way to 17th place at the end of ten laps. The final was a chance for Tavella to charge from the mid pack and that he did. Right from the lights he began to move forward taking places on each lap. At the end of 14 laps it was Tavella charging to seventh place, a nice recovery on the day. "This was not the result I wanted from Homestead. We had lots of speed for sure. 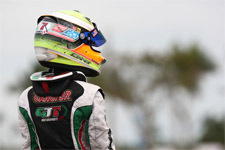 I had the track figured out quickly, but couldn't get any luck," comments Dylan Tavella. "The team did a great job and I want to thank my tuner Bob (Radivoy) and my driving coach Garett (Grist) for all of their help. We had to pass a lot of karts and that was fun. I can't wait to get to Ocala and see what we can do there." 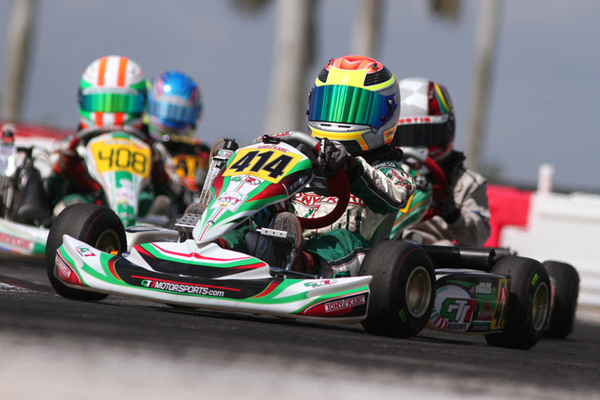 Tavella and the entire GT7 Motorsports crew will now head north to Ocala Gran Prix to take on the final weekend of Formula Kart classes and Rotax Classes. 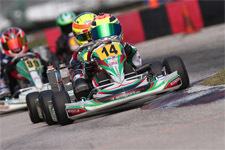 Tavella and teammate Anthony Gangi Jr. will take to the ultra smooth Ocala track in Vortex Mini Rok followed by the Rotax classes a week later.